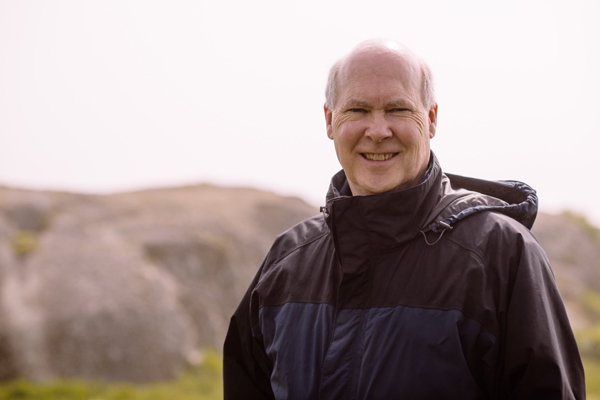 Join us for a lecture based on The Queen of the North Disaster: The Captain’s Story with author Colin Henthorne starting at 7pm in the Courtenay and District Museum. Henthorne will be reprising his sold out presentation from his 2016 book tour. Few recent events in British Columbia have seized the public mind like the 2006 sinking of the BC Ferries passenger vessel Queen of the North. Across Canada, it was one of the top news stories of the year. In BC it has attained the status of nautical legend. Years later, questions are still being asked. How did a ship that sailed the same course thousands of times fall victim to such an inexplicable error? Was the bridge crew fooling around? Why doesn’t anybody in the know come forward and tell the truth? Nobody knew the ship, the crew and the circumstances that fateful March night better than the Queen of the North’s long-serving captain, Colin Henthorne, and in his book he finally tells his story. The basic facts are beyond dispute. Just after midnight on March 22, 2006, the Queen of the North—carrying 101 passengers—struck an underwater ledge off Gil Island, 135 kilometres south of Prince Rupert. The impact tore open the ship’s bottom and ripped out the propellers. In less than an hour, it sank to the bottom of Wright Sound, 427 metres below the surface. Despite the crew’s skilled evacuation, two passengers went missing and have never been found. Helmswoman Karen Briker was fired. Fourth Mate Karl Lilgert was charged with criminal negligence causing death and sentenced to four years in prison. Captain Henthorne, who was not on watch at the time of the grounding, fought to keep his job and lost. It took him over six years to recover his career. In his book, Captain Henthorne recalls with accuracy and detail that ill-fated voyage and all its terrible repercussions. 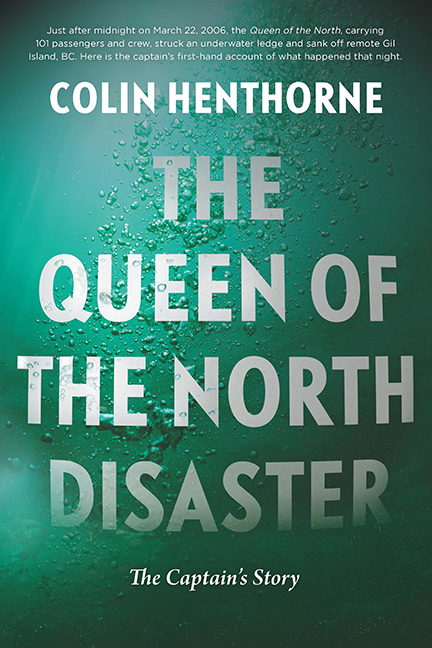 The Queen of the North Disaster: The Captain’s Story dispels rumours about what really happened that night, revealing a fascinating inside look at a modern marine disaster. Copies of the book will be available for purchase ($24.95, Harbour Publishing) and signing after the talk. Colin Henthorne was born in Vancouver and grew up in British Columbia. He has spent nearly all his life living and working on the water. He got his first command at the age of twenty-one and his entire career has been dedicated to command. He sailed as a master with BC Ferries starting in 1990 and was fifty-two when the Queen of the North sank. He has continued to work aboard and to command ships. At the time of writing he is a Canadian Coast Guard Rescue Co-ordinator at the Joint Rescue Co-ordination Centre in Victoria, BC.